Breathing is something that we do every day, at an unconscious level. For many people breathing is a very underestimated function and they are unaware of the importance of proper and correct breathing. Breathing provides oxygen for cellular metabolism and helps to maintain the acid alkaline balance in the body. Diaphragmatic breathing pumps cerebral spinal fluid to nourish and remove waste from the central nervous system. Breathing moves life force, chi or energy throughout all parts of the body. These many important functions often become dysfunctional when people get busy, stressed or lose the optimal breathing pattern. When this happens breathing shortens and people become chest breathers rather than breathing from the diaphragm. When you are a chest breather the repository muscles of the neck tend to shorten and tighten like taught wires. This can create all sorts of dysfunctions in the upper cervical area of the spine. As we breathe around 20,000 times per day, these muscles then get overworked and hypertonic (tight) when they are continually doing a job that they should not be doing. This can then cause the upper cervical spine to be pulled out of alignment creating headaches and tension in the upper back. Following this there is a domino effect of muscle imbalance that flows through the rest of the body. Poor posture is another major influence that causes shallow and ineffective breathing patterns. Forward head posture is an extremely common dysfunction and places the body in an unoptimal position to breathe deeply. It is estimated that poor breathing plays a part in more than 75% of people visiting a doctor. Poor sleep is another factor. Quality breathing will help you achieve a better more restful sleep allowing you to wake in a more recovered state. Stress will also create shallow or chest-based breathing patterns. When this happens the body can become acidic creating a catabolic state. When our body is in a catabolic state it does not have the ability to recover and repair. So How Should We Breathe? the back expand almost like an all round cylinder and the last place to move is the upper chest. The ideal pattern should be 2/3s diaphragmatic and the last 1/3 chest movement. 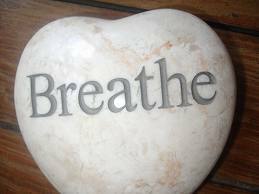 Breathing properly detoxifies and neutralises the body. It brings us into an anabolic state where we can recover and repair. People, who cannot breathe through their nose, need to look at food intolerances such as gluten and dairy. Food intolerances cause an inflammatory response and the body responds by producing more mucus, blocking up nasal passages. This is very hard on the immune system and should be addressed. Breathing techniques go back many years with all sorts of Eastern style exercising, such as yoga’s, Tai Chi, Chi gongs. At the same time these training methods are used to quiet the mind. When our mind is too busy, thoughts are just jumbled up like food in a waste disposal. It is impossible just to be or to think clearly and effectively. It is only by quieting the mind that one can see what it is that they truly want. Meditations are very powerful tools to develop effective breathing but also to quiet the mind Diaphragmatic Breathing Exercise. To become aware of your breathing, place one hand on your upper chest and one on your stomach. Take a breath and let your stomach swell forwards as you breathe in, and fall back gently as you breathe out. Try to get a steady rhythm going, take the same depth of breath each time. Your hand on your chest should only move in the last third of the breathing in cycle. If you have breathed poorly for a long time, it takes a lot of practice to reeducate new breathing patterns. If you do experience difficulty a great way to help to activate the diaphragm is to lie on your tummy so that you feel the diaphragm press into the floor as you breathe. Or lie on your back with a small weight like a wheat bag on your tummy – just below the rib cage. Isolate the breath it at first by just focusing on the upper tummy raising. As this becomes easy you can then imagine breathing into your sides, master this and then add the feeling of breathing into the back as well. Put it all together so now you are breathing into the diaphragm, the sides and the back like an all round cylinder. Deep abdominal breathing is the best, for it brings air to the lowest and largest part of the lungs. Breathing is slow and deep. Take 5 minutes out of your day to concentrate on breathing. Inhale through your nose for a count of four, hold your breath for a count of seven and exhale through your mouth to a count of eight making a whooshing sound. Repeat for six to eight times. Breathing exercises can lower your blood pressure, calm a racing heart, assist with an upset digestive system, and influence your emotions and your moods. Make this a daily habit. Here is another great breathing technique to use. While you visualize the stress leaving your body, practice the following hand and breathing techniques. Touch the thumb to the index finger and breathe in through the mouth for 5 seconds, out through the mouth for 5 seconds. Touch the thumb to the middle finger and breathe in through the mouth for 5 seconds, out through the nose for 5 seconds. Touch the thumb to the ring finger and breathe in through the nose for 5 seconds, out through the nose for 5 seconds. Touch the thumb to the little finger and breathe in through the nose for 5 seconds, out through the mouth for 5 seconds. Sequence is identical to set one. However, the breathing work is only 3 seconds. Sequence is identical to set one. However, the breathing work is only 1 second.